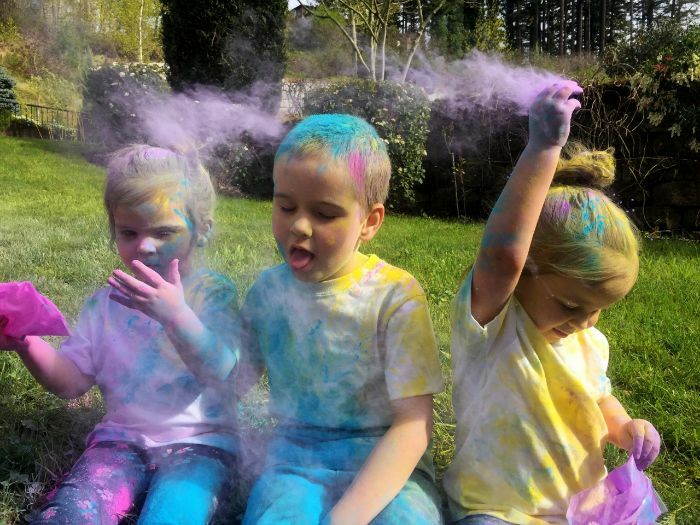 The popularity of color powder has grown far beyond colorful runs, local festivities, and holiday traditions. 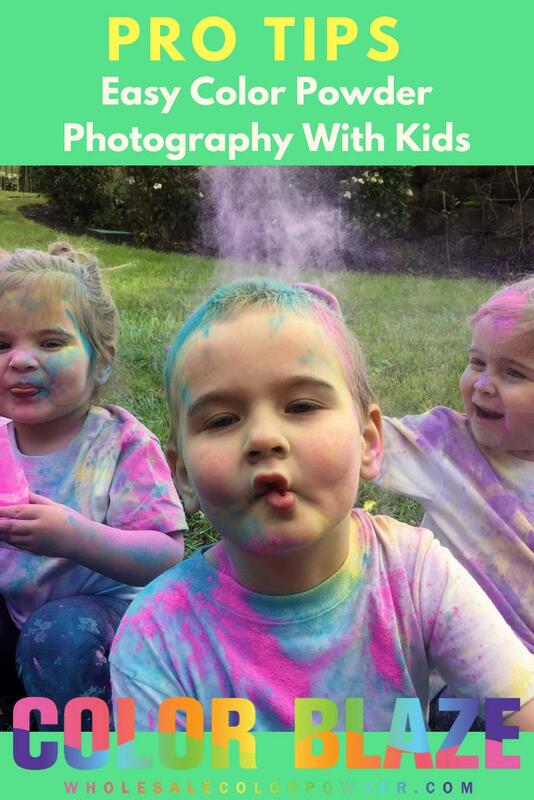 In fact, it’s no secret among professional photographers that colored powder easily transforms a basic outdoor photo shoot into a magical afternoon of authentic smiles and good old-fashioned fun! So if you’re planning a family portrait session, we’ve got a few quick tips for successful shoots. The following guidelines apply to everyone behind the lens, from the seasoned camera professional to the enthusiastic smart-phone-a-grapher. Regardless of skill level, you’ll undoubtedly produce awesome results with our quick tips! 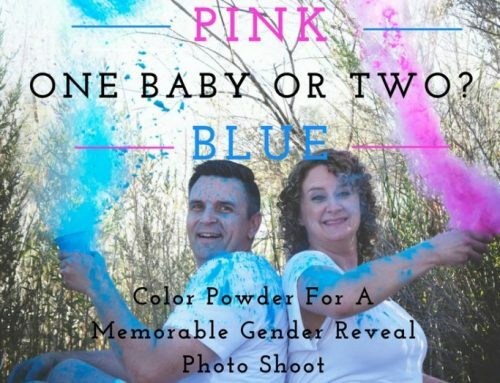 How Much Colored Powder Will You Need For A Photoshoot? 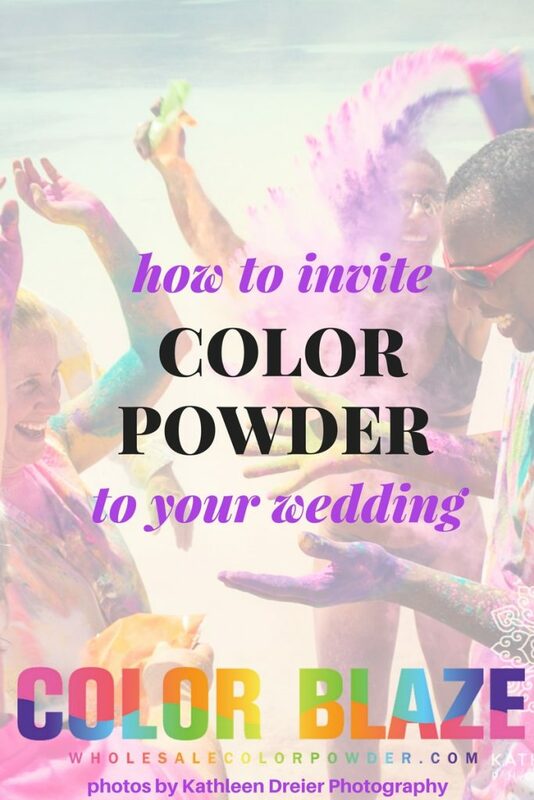 We suggest 50 Assorted Color Powder Packets. 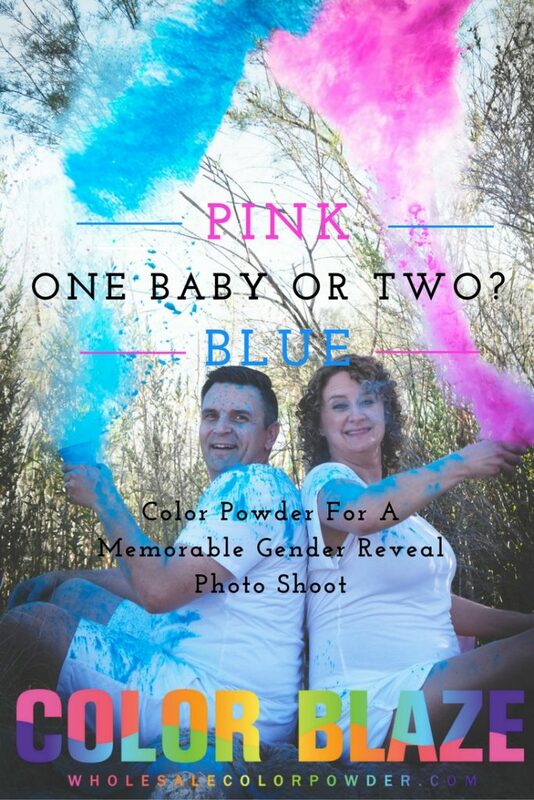 It’s plenty of powder for just about any sized family. Usually, the best results require 5-7 packets per family member. And you’ll likely have extra left over for future photo shoots and/or to wage a color war after the shoot. Having an assistant on set will make everything easier. As the photographer, it’s challenging to throw powder and capture the shots at the same time! So if possible, recruit help in tossing the color packets. This also helps ensure the colors get tossed away from your gear. While a little powder shouldn’t hurt anything, it will cloud your lens and the rest of your shoot will have a dusty haze in every image. So… rally the troops and secure a tossing assistant! Shoot outdoors with plenty of light. You’ll want to use a fast continuous shutter speed to capture the cloud of dust as it flies through the air. For those of you using smart-phones, utilize the burst mode to catch the quick sequence of images. 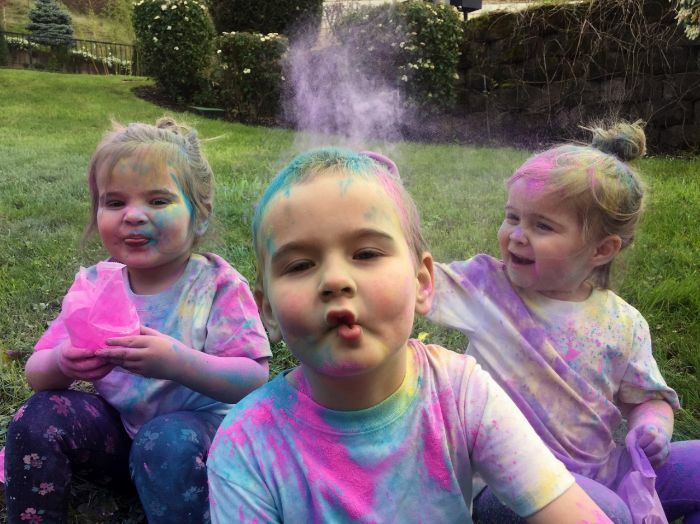 Color powder is absolutely non-toxic, but it’s also not comfortable if you get it in your eyes… and it won’t taste delicious either. Just like any unwelcomed debris on your eyeballs, you can flush it with water or eye drops. 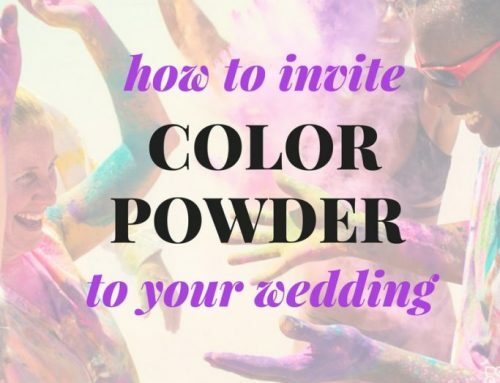 But, water will put a literal damper on the color powder, so use it sparingly. Vibrant colors are really exciting. It’s like a visual sugar rush! No matter how old you are, there’s a degree of self-control required to not go rainbow-wild the minute it lands in your hands. So we suggest starting slow, curated, and with clear creative direction. Tell your family the vision and show images of what you want to create. Inspire everyone so they know how to participate together! 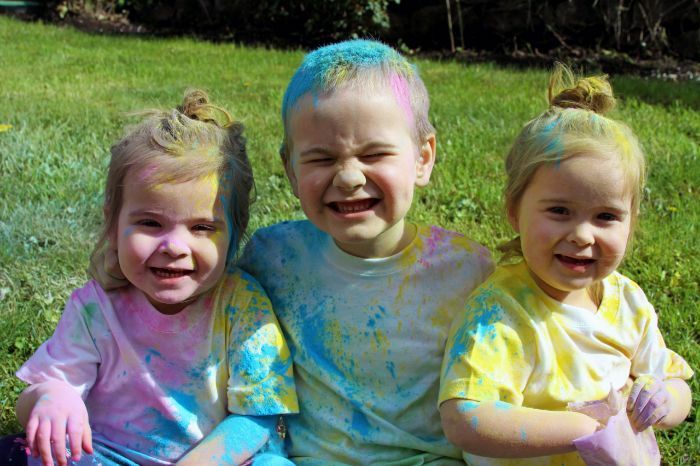 That said, the best candid shots usually happen during the color-chaos portion of the shoot. So, eventually let everyone get crazy with it, and then watch the magic happen. Sure, age is just a number, but it’s something to consider. The kids featured in this shoot were two and five years old. While they had a lot of fun, their age determined what was possible to achieve as the photographer. Big brother was a total ham and spent most of the shoot trying to terrorize his twin sisters. 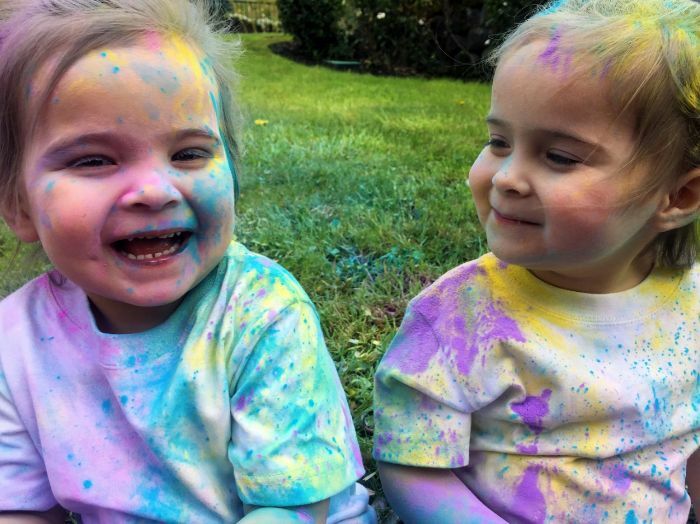 The little girls were so mystified by the color that big brother’s antics didn’t faze them one bit – but they also were too busy to even bother smiling for the camera. But even though I couldn’t control everything, we still pulled off an awesome shoot with some winning memories and photos to prove it! While the age of your subjects can sometimes redirect your creative vision, just keep it loose and stay open minded about what can happen when you just let the little ones play! 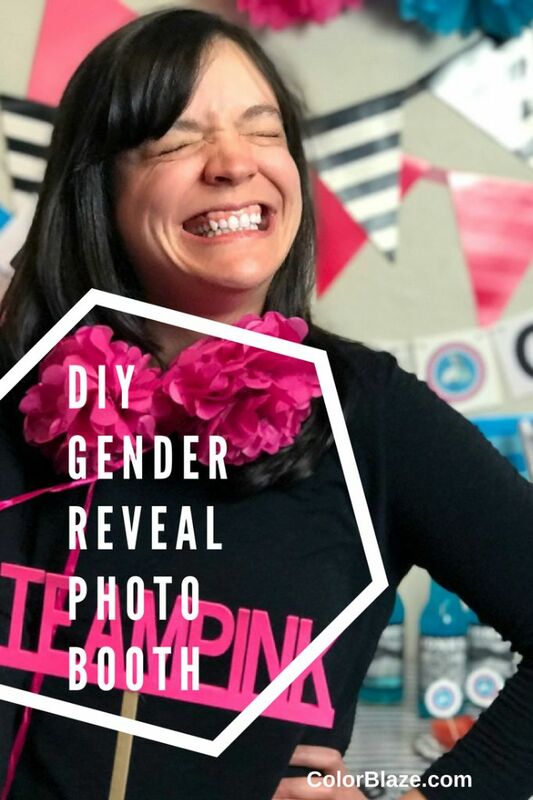 It might just turn out better than you could have planned! 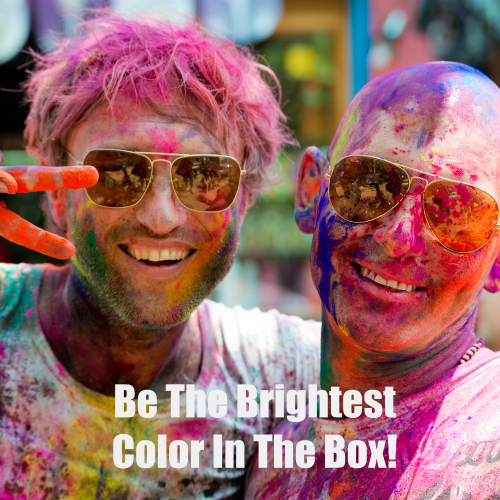 Make It More Exciting with Color Blaze! There you have it! 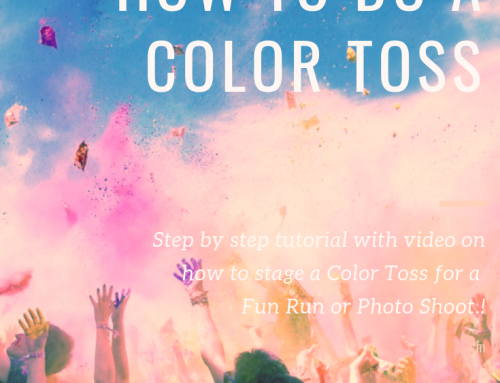 These simple tips are sure to deliver pro results with your color powder shoot! When you try it out for yourself, be sure to share your images on our Facebook page! We’d love to see what you come up with! 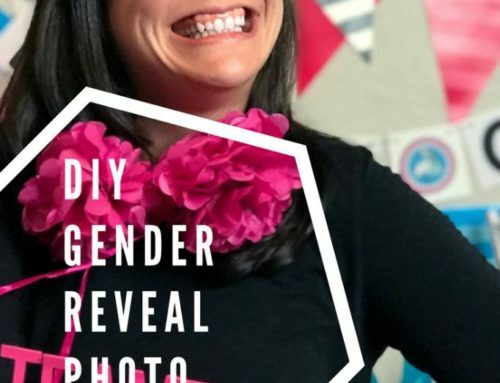 Don’t limit your creativity and imagination to a single photo shoot. 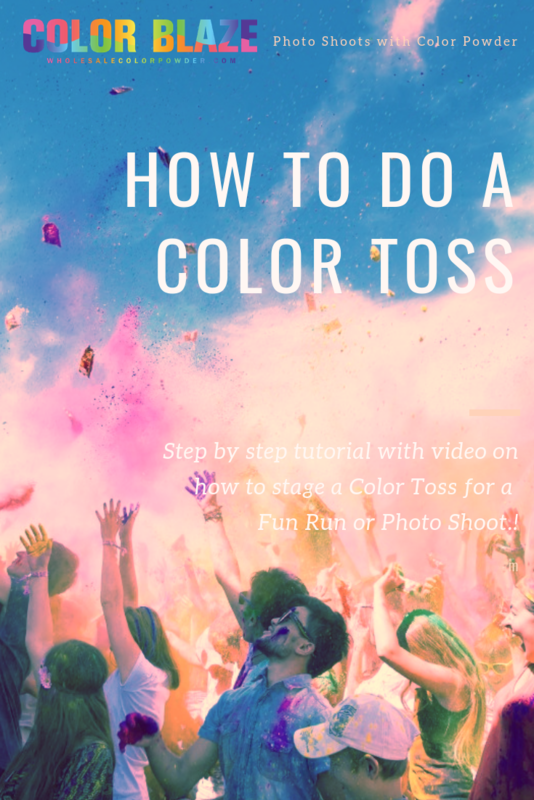 You can get your family’s hands busy and colorful at the same on other eventful activities such birthday parties, color powder gender reveal parties , and many fun summer outings. Color Blaze has the best deals for you!